Pepperoni, a native Italian food, has been a long time American favorite and a well-known Hormel Foods specialty. 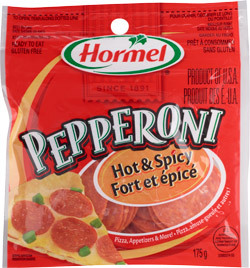 Today, Hormel® Pepperoni is No. 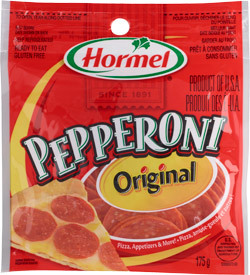 1 selling brand of pepperoni in the United States, thanks to its great flavor and high quality. Everyone knows pepperoni tastes great on pizza, but enterprising cooks rely on its delicious spicy flavor to add zest to a wide variety of dishes. 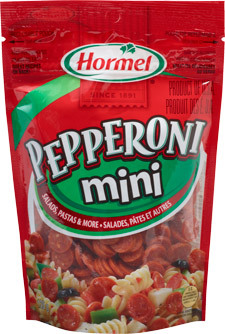 In addition to perking up pizza, pepperoni is an ideal partner for sandwiches, salads, pasta or nachos!